Derby boost their play-off hopes with a thumping win over Bolton. They move to within two points of sixth. Highlights of the Sky Bet Championship match between Derby and Bolton. It was Bolton's 26th defeat of a troubled Sky Bet Championship campaign, the worst record in the club's history, and only a string of saves from goalkeeper Remi Matthews kept the score down. There was never any doubt about the result once Craig Bryson and Mount struck before the interval and the on-loan Chelsea midfielder scored twice in the second half as Frank Lampard's side moved to within two points of the top six. 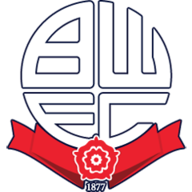 Bolton's Championship status had been hanging by a thread and they were close to conceding in the sixth minute when a Mount effort from 25 yards deflected narrowly wide off David Wheater. Bolton threatened in the 12th minute when Luca Connell burst into the box but he was crowded out and Harry Wilson broke dangerously, only for a heavy touch to let him down. 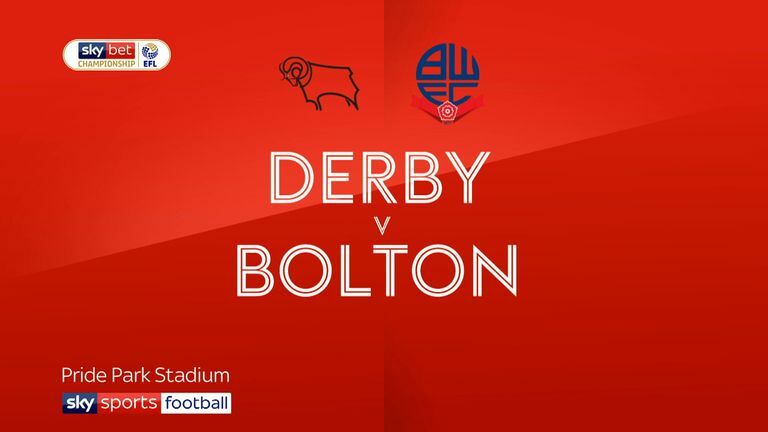 Although it was all Derby, Bolton had the first clear chance in the 22nd minute when Andrew Taylor crossed from the left and picked out Clayton Donaldson but his diving header went straight at Kelle Roos. Four minutes later, Derby had their first opening when Martyn Waghorn's flick found Bryson but his shot from 12 yards was saved by Matthews who minutes later made another fine stop to deny Waghorn. 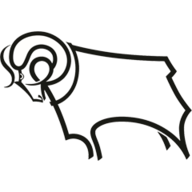 Derby were building pressure and Richard Keogh had a shot charged down before the breakthrough came in the 37th minute. There looked a good case for a penalty when Wilson went down under Connell's challenge but the ball broke to Bryson who fired in from a tight angle. 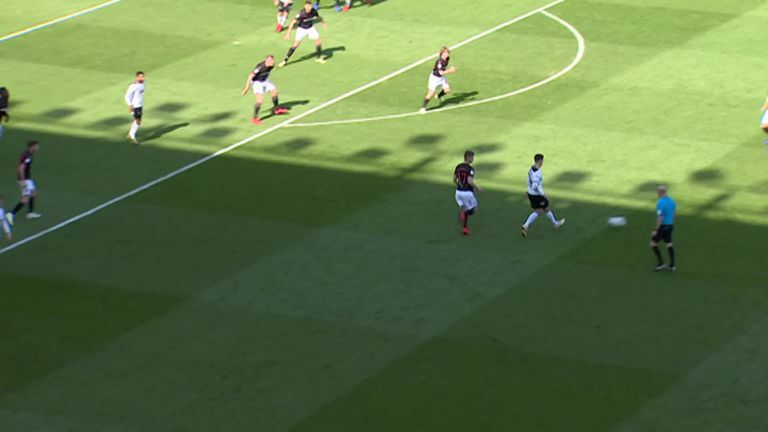 It was now a question of whether Bolton could respond but the Rams scored again in first-half stoppage time when Mount rounded off a clever one-two with Waghorn to leave them in complete control. The visitors scrapped but they offered little going forward and Derby were close to a third in the 48th minute when Wilson's 12-yard shot was deflected behind. Mount sidefooted wide when he should have hit the target but he made no mistake in the 55th minute when he headed in from close range following a cross from Tom Lawrence. It was about damage limitation for Bolton and Matthews prevented a fourth with a superb diving save to deny Waghorn, who then lobbed just over the bar. Waghorn stabbed another chance wide before he was substituted but Mount completed a memorable afternoon by driving in his third from Ashley Cole's astute pass in the 82nd minute. Mason Mount bagged himself a hat-trick today, as Derby comfortably beat Bolton 4-0. Frank Lampard: "He did well in Holland last year, but it's not the competitive nature of the Championship I believe. I think he has developed here this season and there will be some testers for him. The game at Blackburn in midweek was physical, it was a test and it won't always be easy to show the attributes he did today "He has to take the rough with the smooth, but I believe he has improved and I also believe there is a lot more to come from him. "When we had a little break in play I said to him he needs to start turning and facing people up, because people will struggle to deal with his quality, his quick feet, his awareness to play the ball around corners and that's exactly what he did. Mason missed two months of the season and that shows he's a boy that's going to score goals and that's important for us. We haven't got the centre-forward that's scoring 25 goals, so we have to contribute from other areas." Phil Parkinson: "It's been tough for us and it's horrible to get beat. As a manager, coaching staff and players you live off results and when you get beat like we did today and compound that with the problems we are facing it's a pretty low place. "But we've got to make sure we pick ourselves up and finish the season as well as we possibly can. Derby are a good side, they are a team that when they get in front, especially at home, and start playing with confidence they have got probably as good final-third players as anyone else in this league."